Nebraska Dachshund Rescue View other Dachshunds for adoption. 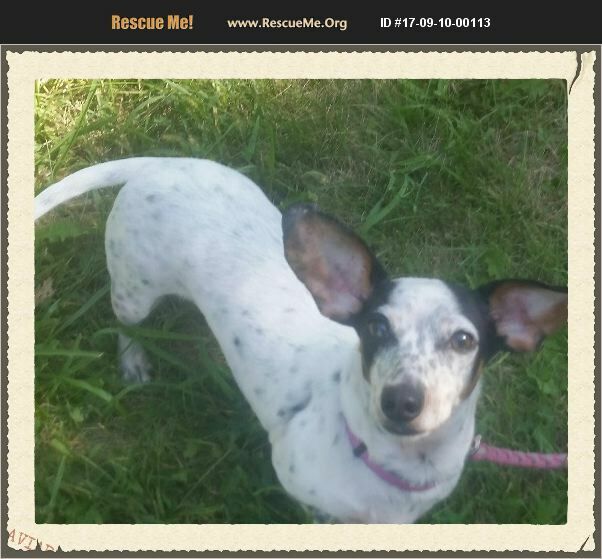 Name: LivyLu Age: 3 years old Breed: Dapple Dachshund Mix Spayed Female LivyLu has got it all! She has a unique look about her that will make everyone you know so jealous that they don't have a dog just like her! She is full on cute! But this little girl is more than just looks she loves to run and go places and especially loves being in your lap. She likes to hang and be one of the girls but if there is another person to hang with she will make do. She was an owner surrender due to her owner was getting older and was unable to take care of her. So if you are full of fun then LivyLu just may be the girl for you. LivyLu is spayed, Heartworm negative and on prevention. Current on vaccinations and microchip. Suggested adoption donation is between $350 and $450. If LivyLu looks like the dog of your dreams. Fill out an application for her at www.ruff-rescue.com today!